Copyright © 2018 International Thriller Writers, Inc., All rights Reserved. 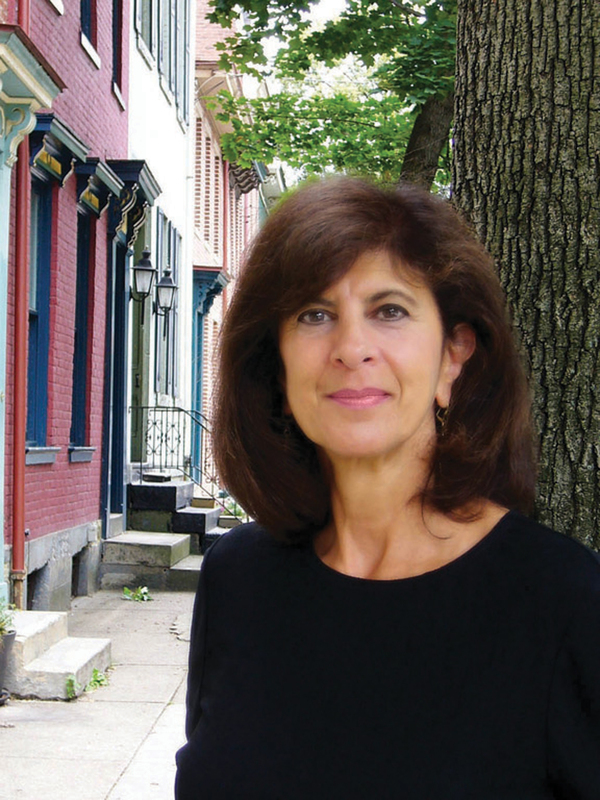 In her latest novel, THE JOHNSTOWN GIRLS, Kathleen George develops such an interesting plot that Author Stefannie Pitoff says, “George expertly pushes the boundaries of the mystery genre. 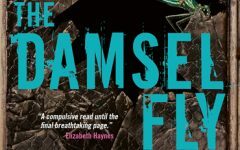 I can’t wait for more superb novels to come.” In her novel, a woman of 103 tells the story of what really happened to her family in the Johnstown Flood, causing a journalist to investigate. Kathleen George is the author of TAKEN, FALLEN, AFTERIMAGE, THE ODDS (Edgar finalist for best novel), HIDEOUT, SIMPLE, and A MEASURE OF BLOOD. She is also the editor of PITTSBURGH NOIR. A professor of Theatre Arts at Pitt, George has directed many plays, including several by Shakespeare. She credits her theatre background with giving her the tools to write thrillers. I had the opportunity to catch up with Kathleen George the other day and ask her a few questions. 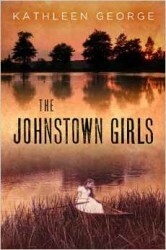 Is there anything special you’d like to tell us about THE JOHNSTOWN GIRLS? Altogether it took twenty-five years to write! Yes. I started it a long time ago and have several versions. To tell the truth, I liked the impulse behind all the versions, but this is the one that seems to have the most steam. It has an engine that moves. How did you get interested in the Johnstown Flood? I was born and raised in Johnstown. We heard about the flood during those years, even though the Great Flood was too long ago for anyone to remember. My mother and father remembered the 1936 flood which was very bad, but of course nothing can compare to the flood of 1889. In that one over 2,000 people were killed in a matter of minutes. And the town was wiped out. Only to be rebuilt by determined survivors. We learned in school that Johnstown was now the flood free city. And of course that wasn’t true because there was another flood in 1977. I experienced that one, or the aftermath of it rather, because I went into town during the disaster-area recovery. But the novel is about women and their relationships. I had to do research into memory, twins, teaching, nursing, all kinds of things to flesh out these lives. What are you doing to promote your book? I have a number of readings in the Pittsburgh and Johnstown areas. The Press is sending out notices to other newspapers in other cities. I hope for reviews in those places. Actually I¹m torn between writing another Richard Christie procedural and another historical novel. I think the inevitable answer is both, but I just don¹t know in which order. When you’re not writing, what are you doing (hobbies, family, etc.)? When I¹m not writing I am teaching classes, grading papers, sitting on committees (which means I still have my day job of Professor of Theatre Arts at Pitt). There isn¹t much other time. When there is, I can be found reading, reading, and reading, which I love to do and watching sports, mainly baseball in season. I’m a huge fan. And cooking, making soup or Lebanese dishes. I even baked Lebanese bread recently. Sounds great, Kathleen. I look forward to reading it. Kathleen George is the author of TAKEN, FALLEN, AFTERIMAGE, THE ODDS (Edgar finalist for best novel), HIDEOUT, SIMPLE, and A MEASURE OF BLOOD. 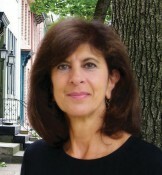 To learn more about Kathleen, please visit her website. Don Helin is the author of five thrillers that draw from his military experience, including three tours (eight years) in the Pentagon.His novel, Secret Assault, was selected as the Best Suspense/Thriller at the 2015 Indie Book Awards.You can reach him on his website, www.donhelin.com. 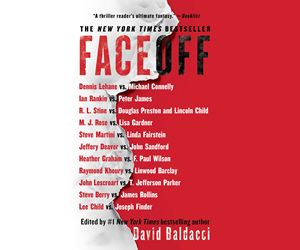 The latest thrillers from Michael Koryta, Liv Constantine, Jon Land, R. G. Belsky, Kate White, Marcie Rendon, Chris Pavone, Wendy Walker, Timothy Jay Smith, Tom Ryan, Ashley Dyer, Ann Simas, Andrea Bartz, Lane Stone, Emily Carpenter, Jeffrey Siger, Tim O’Mara, Tom Savage, Mark S. Bacon, Elizabeth Heiter, Debra Webb, Meghan Holloway, Rachel Howzell Hall, Sheila Lowe, Laurie Stevens, Juno Rushdan, C. J. Tudor and many more! 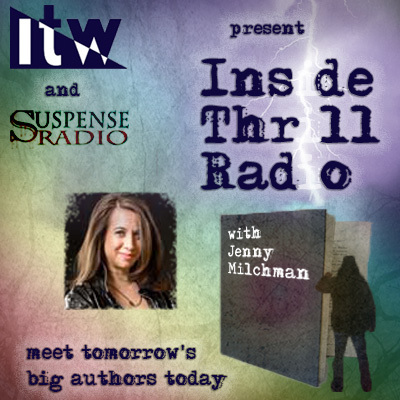 Discover Tomorrow’s Hottest Thriller Authors Today on Inside Thrill Radio! 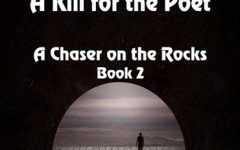 Inside Thrill Radio airs monthly, as host Jenny Milchman takes listeners deep behind the scenes to hear about brand new thrillers and how they came to be. “Win, Lose, or Draw” is available starting April 19th: Three authors, who between them have racked up Edgar, Anthony, Agatha, Shamus, and Lefty award nominations, talk about their new thrillers! Will they win, lose, or draw at this year’s award ceremonies? Hear about their books and judge for yourself. Featuring guests Matt Coyle, Nadine Nettmann, and Lili Wright. 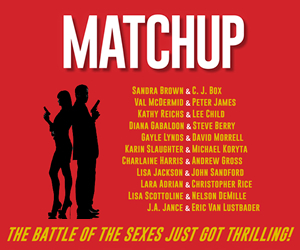 MATCH UP: In stores now! THRILLERFEST XIII: Registration Is Open! One of the most successful anthologies in the history of publishing!